Hub Manager® Professional Software is a powerful and easy to use solution. Fast and easy to use management reports meet the requirements of the commercial access control market. Hub Manager® Professional Software uses "Access Levels" for construction of logical groupings of doors, sites, users and time zones. 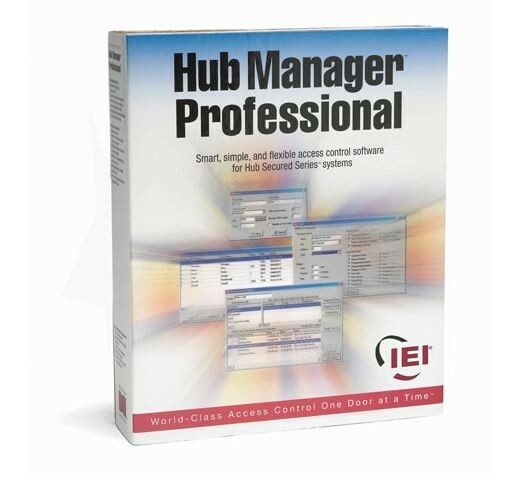 Building access levels, adding doors, creating users and setting system parameters are made easy with Hub Manager® Professional’s setup wizards. With the ability to program and manage all current and legacy hardware platforms such as Max3, MiniMax3, HubMax II, Hub MiniMax II, prox.pad plus and the LS2 series locksets, Hub Manager® Professional completes your access systems needs. Hub Manager® Professional is included with all Secured Series systems and kits, and with prox.pad Plus and LS2 Series products.